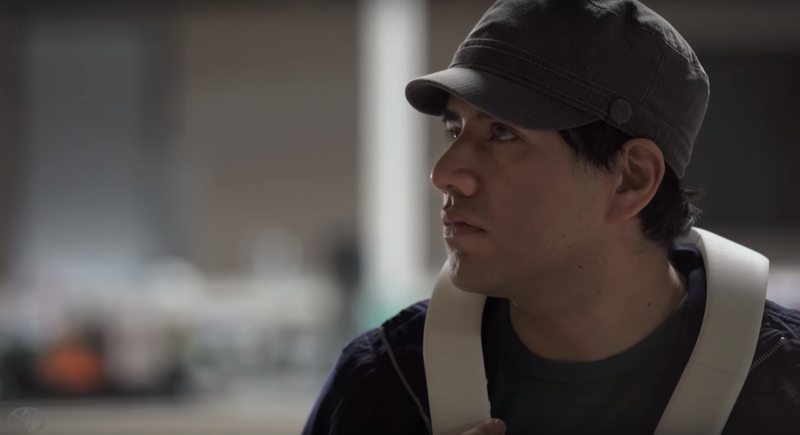 A wearable device to help blind and partially sighted people have greater mobility is being developed by car manufacturer Toyota. The gadget called Project Blaid is worn on the user’s shoulders and is equipped with cameras to help detect surroundings such as signs. This information is then relayed to the user through speakers and vibration motors. Users will be able to interact with the device through voice recognition and buttons. The level of detail the new technology will communicate to users includes recognising parked cars on the side of the road and low hanging branches over paths. Developers behind Project Blaid, believe the gadget will be able to make out facial recognition, object identification and mapping in the future. Robin Spinks, senior strategy manager at the RNIB explained: "This is a very exciting development within the rapidly growing field of wearable assistive technology. Mobility is at the heart of so much in our society and a device like Blaid could open up limitless possibilities for millions of blind and partially sighted people." Toyota said the device was not meant to replace those aids currently available to blind and partially sighted people, but to "help fill the gaps left by canes, dogs and basic GPS devices by providing users with more information about their surroundings". Simon Nagata from Toyota said: "We want to extend the freedom of mobility for all, no matter their circumstance, location or ability." There is currently no release date for the new device.